and cry out: ‘“Woe! Woe to you, great city, dressed in fine linen, purple and scarlet, and glittering with gold, precious stones and pearls! Pope Francis opens the holy door of the Bangui cathedral, Central African Republic, Sunday, Nov. 29, 2015. 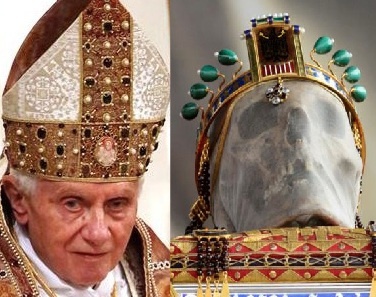 Pope Benedict adore his papal crown, covered with presious stones and pearls. Pope Francis and his cardinals love to dress up in Purple. A city dressed in purple and scarlet, just as prohecied in the book of Revelation. The Vatican is full of priest and bishops dressed in purple. The Vatican is the mother of all palaces and riches. Then I heard another voice from heaven say: ‘“Come out of her, my people,” so that you will not share in her sins, so that you will not receive any of her plagues. Seven Papal crowns worth millions displayed at the Vatican. The light of a lamp will never shine in you again. The voice of bridegroom and bride will never be heard in you again. Your merchants were the world’s important people. By your magic spell all the nations were led astray. First published, 4th of January 2016. 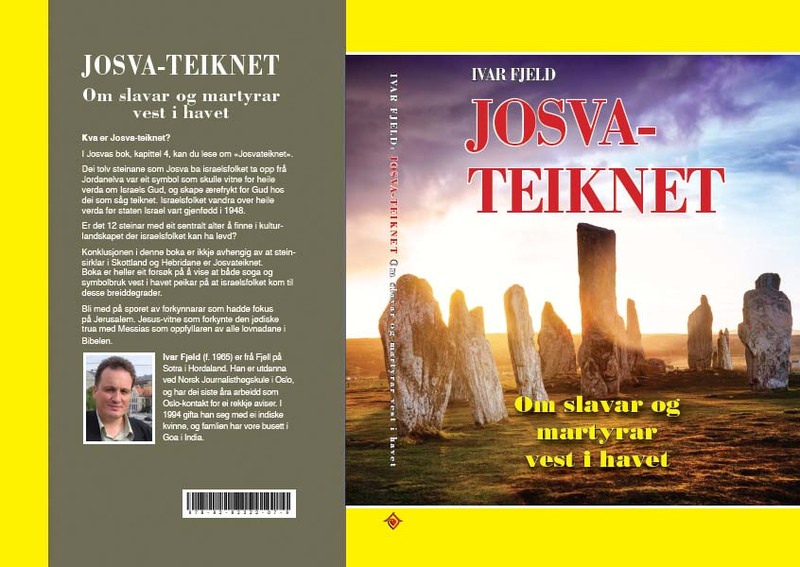 Thank you, Ivar! The Lord gave us understanding, making it simple for His children. If there only was another way of warning them? But the photos tell its own story. At least some might see, understand and repent. Good one Ivar! Too bad most won’t listen because they don’t believe the Bible! “For had ye believed Moses, ye would have believed me. For he wrote of Me. but if ye believe not his writings, how shall ye believe my words?” John 6:46-47. What about the Prophets? Isaiah 24, 53, etc, Daniel, Ezekiel, Psalm 22. If they read them, they don’t believe them. If they don’t believe in the worldwide flood in Genesis, how will the believe what is before their very EYES? Blessings! Thanks for blessing me. Jesus gave me skills as a journalist and photographer. I am using these gifts to His glory. Because I love the Roman Catholics, I have to warn them. If you read the Bible, how could anyone remain Roman Catholic? The Catholic Bible, the Vulgate by Jerome, from Genesis 3:15 , that Mary destroys the Serpent. The Greek translation, says that the Seed of the Woman destroys Satan. Do you think the Latin Papal bible was manipulated, whereas Erasmus translated the Greek words, meaning Christ? The original words of the Bible were written in Greek and Hebrew and not Latin! I sense Deception, from the start, of the RCC ( Spiritual Babylon!) She is the most powerful Institution, in the World. Blessed are the eyes which see the things that ye see: For I tell you, that many prophets and kings have desired to see those things which ye see, and have not seen them; and to hear those things which ye hear, and have not heard them. I praise the LORD JESUS CHRIST, for showing us these things. I do not leave many comments, but I do read you everyday, many times, you direct me for me daily Bible study. THANKS! You made my day. Thanks for blessing me. Comments like this will keep me on the blog. Roman Catholics do not read the Bible, if they did, they would No Longer Be Catholic!The Lectionary, full of its glory, is what is valued! This book is paraded down the aisle at Mass, waiting for the Pre-determined readings of the Gospel! Faithful and True, the Harlot of Scarlet, Purple and Pearls, knows what she is doing….Deceiving! The Woman(Church) that rides the Beast(Papacy) and she remains a Harlot(Unfaithful) until the End Of The Age! Come out of her my people and do not partakers of her sins and not receive her plagues! She is Mystery Babylon The Great! The Babylonian and Philistine Priests loved to wear these colors! Thank you. I know I am not able to convice people who are color blind. But if the office of the Pope is sin against the holy spirit, than the pontiff and his priests cant help wearing these garments. So that all who have recieved the holy spirit can see and understand. Red is for Cardinals, Sacrafice…..we ALL know that Christ was Sacraficed once for our sins! Let’s NOT get into Transubstanciation (Unbloody Sacrafice!) There is NO Remission of sin without the shedding of blood! The People Of The World are NOT just Colorblind! They are Blind to WHO the AntiChrist is! Since Vatican II, Most the Christian World believes in Futurism or Pretarism. The 2 thoughts believe in the AC came in the past (Catholics) or in the future in Rapture ( Evangelicals) ! This is a Jesuit accomplishment, of the Oxford Movement in the 1800’s, getting the ppl to divert their thinking away from the RCC! It was astonishing to come to the knowledge of how the Lutherans changed ther prosition after 1965. Before the Vatican II council, Lutherans were branded as heretics, and not saved by Rome. The Lutherans held on to the teacherins of Luther, that the Pope is an antichrist. After 1965, when the Lutherans was acknowledged by the Pope as “seperated brethren”, the Lutherans also acknowledged the seat of the papacy. All Protestants have turned to Mother Church and are Embarking back to Rome. Through the Interfaith Movements of ECT/Evangelicals and Catholics Together, all the Seperated Brethren will return to Mother Church! Vatican II was the way to lessen the image of the Papacy, as being the AC and inclusive to all! Unfortunately, there was NO rescending of the Council of Trent! 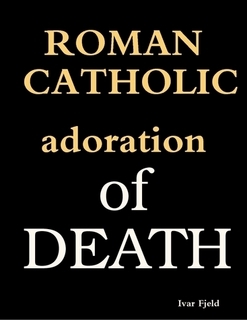 There is no Salvation without the RCC, the heretic is not saved, until you convert and submit to the Papacy! She truly believes in her Apostolic Succession, and that you must submit your Will and Intellect to her! I was once a Cradle Catholic and I have actually visited Patmos! Maybe the Holy Spirit will help you with the Truth….but only He can do that! Understanding Isaiah 21 will indicate that Rome is not the harlot. Isaiah 21 also agrees with several passages in Jeremiah and Revelation that refer to Babylon. The Red Sea is the geographic indicator as to where the Last-Days Babylon will be located. Look at Mecca on any map and you will see that it sits near the Red Sea. “Babylon is fallen, is fallen,” is the same as used in Revelation 18. Here, we find a direct allusion to another Old Testament prophecy concerning Babylon. Jeremiah 50 and 51 repeatedly reference the need to flee Babylon with the same rendering as in Revelation. The nation that matches the descriptions necessary to qualify as Mystery Babylon could be the Kingdom of Saudi Arabia. Roman Catholis will obviously refuse to accept that the Vatican is spiritual Babylon of the end times. So your comment do not come as a surprise. It is truly a sad story, that whatever is exposed against the papacy, you will stay loyal ant put. You will walk down the path, the whole way to the eternal fire. You have accepted a non-repeantable spirit. The Bible explains there will be no forgiveness, for all who blaspheme against the Holy Spirit. Ancient Bablyon was the very center for paganism. The babylonians was spread all over the planet, and they took their paganism with them. The Queen of Heaven, in Babylon named “Semiramis”, had an incarnated son. “Nimrod”. These two dieties, are of Satan. They will continue to trouble lost souls, up till the day of the return of the Messiah. The physical ancient Babylon is gone. But the spirtual harlot is not dead. The pagan queen of Heaven has many names. 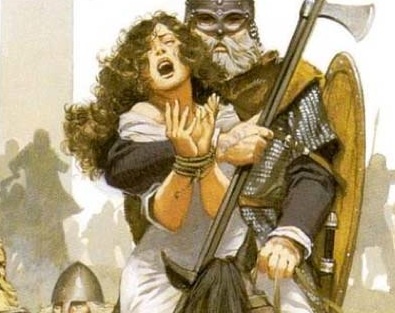 In Egypt she was worshipped as “Isis”, and among the pagan Vikings, she was hailed as “Friggja”. In Rome she became “Catholic Mary”, and was introdused as the ever virgin mother of Jesus. The message from Rome is based on lies, lies, and utter lies, repeated millions of times. But they are still damanble lies. The harlotry around the queen of Heaven, also captured Rome. Today the papacy reflects the spiritual harlot. The office of the Pope is sin against the Holy Spirit. For the blindfolded, who have surrendered to the claimed authority of the Pope, there is probably no hope. Regardless of what spiritual truth that will be reveled to you, you will not be able to see and understand. So, why are you continuing to read and comment on this blog? OK Ivar. Keep in mind it was the Protestants who joined the Ottomans Empire during the battle of Lepanto in 1671 to destroy the Catholic Church because they hated the Catholic Church. They failed. Other battles also – they failed. Your last comment is like a wild shot in the woods. No Bible believing Christian, believe that the Roman Catholic Church can be destroyed before the return of the Messiah. That is the day she will burn. How have you been able to miss the main point in dozen of articles i have written? Again and again, I have underlined that the RCC will be in the center of the rise of the final antichrist. The Mother is Spiritual Babylon as a former RC, it took me years to accept this! She will fall, at End, since Ancient of Times! When I realized the Truth, I took down all Symbols of her, Man-made religion, that was not Biblical! You must see Christ Alone, is who we worship!…..He is God! 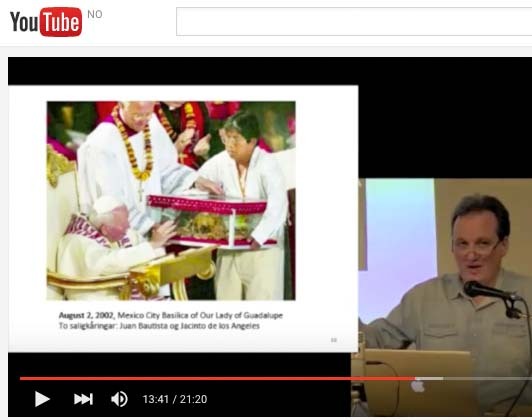 The Papacy is Spiritual Babylon!! Even St Peter himself, refers to ROME as Babylon! History repeats itself in the bible alot. Many things in the past being shadows of things to come. Like a snowball to hell the world moves steadily towards destruction. When Jesus came the first time He acknowledge that the Jewish synagogues were the synagogues he established with Moses. But found many faults in the synagogues which led to enmity between Christ and the religious leaders. So how can you exclude revelations talking about the future simply because something similar happened in the past. Or that the Catholic church isn’t the whore simply because they continue to exist. Do you not think a Jealous God, would like the Golden Cup, being represented daily, by Modern Day Pharisees, would make an ALL HOLY GOD Mad? His Precious Blood used over and over, making ppl believe, it is the TRUE Presence of God, through the Power of the Catholic Priest. I personally believe there will be a lot of Purification, in the Lake Of FIRE! Not a place called Puratory, where you can earn Induldences – It’s Nothing You Do, but what Christ has DONE! For Christ died Once for the Unsaved Soul to forgive him for sin…. If you question and read but never draw conclusions you’re like a walking loose end. You need the Rock, actually hear what he is saying, as an anchor for your loose ends. Too cold to fish but thanks. I am hearing a lot about the Jews, lately. The Synagogue of Satan implies the Unfaithfulness of the Church too! God does not like Pompous Righteousness people leading the Sheep! I believe the opulent Vatican, with priceless masterpieces and artwork show a vulgar disrespect for the Holyness of God, taken from the people of the world! Adorning their Prelates with Ruby and Scarlet Garbs, wearing Precious Stones…. How about making their own Saints and ….well, we won’t go there, for now! This story, of the Harlot has been distorted by the CounterReformers (Jesuits)for centuries! This is called FUTURISM, a masterful plan, to throw off the Papacy, as the Antichrist! Before Vatican II, almost all Protestants believed that the RCC was the Woman Who Rides The Beast! Don’t be fooled! This is true, Cathy – thank you! We are a small Remnant, that know the Truth! You will never find a RC, who would ever accept the Truth! HOW can anyone study the Biblical Record and not know…Mother Church is the Decieving Woman Who Rides The Beast! How could anyone be an Apologist for the Harlot? Christ is Returning Again, and Woe to those that Recieved her Plague and Partaked in her sins! Cathy, it’s true that Christians who understand this are a minority. Former Catholics may be more likely to see this, if they get sound teaching. Catholics will come out of her where the Gospel is preached – repentance and faith in Jesus Christ alone. Yes, He is, Cathy!! We must know God’s Word and stay safe. He will protect us from the evil one, and from the strife of tongues. Yes, they think we are crazy or in a cult. I’m grateful that I live far from family and so am not expected to attend weddings and funerals in a Catholic church. It’s a miracle that I was saved. You too. Talk about CULTS…The RCC is the Largest! Think about, a Catholic is to SUBMIT their Mind and Intellect to the Pope…Says It ALL….MIND CONTROL! I don’t think the Modern RC even knows! Pope Pious IX was the great Infallability Papa, of course in Faith & Morals ONLY😉 He was also the great Marion Worshipper (Immaculate Conception, not of Christ, but of Mary!) He was Somehing Else and the Catholic Faithful, looked to him, as g o d on Earth veiled in Flesh! Their Own Words give Them Away! Just look at Pope Benedict adoring the Triple Gold Crown filled with Gold, Pearls, and Precious Stones! The Triple Tiara goes back to Persian Times and the Mitre goes back to Babylonian times, with Phillistine Priest wearing their Dagon ( Fish Head Mitres )! Tell me this is coincidence? A Catholic Apologist once argued, with me …that Roman Catholicism does not have PEARLS!!!! The problem is that ALL Catholics need to make their offspring Catholics! My Mother was a PRESBYTERIAN and married a Roman Catholic. When we were growing up, this was never mentioned and she went to church with us. After my Father died, she went through RCIA and became Catholic. You are correct, we know more than the RC! I was convicted by the Holy Spirit, and from that day, I have been seeking the TRUTH!!! I was devastated, knowing the place I took refuge, was indeed. Unholy and Babylon the Great! I will go to my grave, knowing the Truth! This is separating the Wheat from the Tares! The most wonderful thing for me was the Audio of the King James Bible! I heard it 3 times. The HS kept pushing me farther, to seek TRUTH! I will tell you an excellent Internet source is Richard Bennett/Berean Beacon , a former Dominican Priest who left the RCC. He helped me 7 years ago, to come out of her! Give HIM all the Glory! John15:5/ Without HIM, we can do NOTHING!!! No Saints, No Mary, No Church with its Sacraments can Help you, only our Devine High Priest and Mediator, Christ Jesus! Matthew 23:9 Call no man your Spiritual Father…. My husband would not. He was fully Indoctrinated into the Babylonian System at an Early Age because of his IRISH Catholic heritage. TRADITION means Everything to some! God enters a Broken Spirit, through a contrite heart! My Spiritual awakening happened, when I was confined to bed, with a broken leg and my children thought they were Funny, putting on television a Christian Station. I kept hearing about John 3:16…so we looked it up. Finally the concept of Salvation entered my Brain, which was devoid of God. You see, as a Cradle Catholic, I depended on my hour a week, to make me a Child of God. Just go to church and take the wafer…I thought I was safe. I never felt His Presence….I didn’t really know what to think! Ceremony & Tradition replaced God. Exactly!! There were things going on in my life that “I” had NO answers for. One night I told God I was putting my life in His hands, because I didn’t know what to do. Immediately, “the peace that passes human understanding” came over me. It was unreal! He made me KNOW that He would be with me, through everything. Holding me up. I came home the next day, and began reading the Bible. It was His Holy Spirit that led me to do that. He numbers our days, so He knew my older daughter would be leaving this earth 15 yrs. after He opened my “spiritual eyes”. He allowed me all that time to impart to her, what He had taught me. She accepted Jesus’ sacrifice. I knew when she took her last breath on this earth, her next was with Him. The devil is alive and well, thus, the false, manmade “religions”! What Peace, and Comfort you have experienced, through our Lord! These doubters believe this is just an Emotional Driven Response, but we know better! Every night I say the same prayer, to Cast My Cares To HIM, FOR HE CARES FOR ME!!! I couldn’t stand living in this world if I didn’t know Him. The saddest words, to me, in the Bible, are these, “all are called, but FEW are chosen”. I know there’s NOTHING I can do, to change anyone’s mind. Only God can do that. But it’s those words that make me worry about my family. Especially the one’s who practice RC. Catholicism is the Old Covenant fulfilled. It shouldn’t then be too surprising to find liturgical colors, priestly vestments, and implements that are rooted in the Old Testament. You confuse the Holy Word of God and twist it to suit your need. The devil is a liar. Your “catholic priests” walk around as if mankind should throw themselves at there feet. Romans 3:23 for all have sinned and fall short of the glory. The only one who can walk with no sin is the SON OF MAN, Jesus Christ who died for us and rose again. Exodus 28 does described garments ordered by God but they were to be worn by Aaron and his sons with dignity and honor. 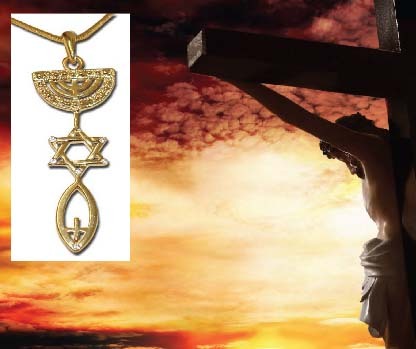 The breast piece of decision symbolized that the high priest represented people before God. Whenever Aaran entered the Holy Place, he bore the names of the sons of Israel over his heart, and wore it as a continuing memorial before Our Lord. It had a symbol a meaning which God ordained. Your “catholic priests” walkabout knowing right from wrong, believing in a LIE kissing the dead rotten bones of bodies that are long gone, having sinners throw themselves at another sinner’s feet, begging for forgiveness. When the SON OF MAN returns shortly, all will realize that what they’ve followed all along was a lie from the devil himself. Catholicism is the Old Covenant fulfilled. Catholicism is a copy of the truth. The Old Covenant (law) is not fullfiled in anyone but Jesus the Messiah. The Pope also claim that all the promises of God, is transported from the people of Israel to the Church of Rome. This is the base for Replacement theology. The Roman Catholics are now the chosen people, and salvation is distributed as a round wafer “Messiah” in the mass. The claimed authority of Rome is based on fraud. The Pope claim to be both God (The holy Father) and the Vicar of Christ, a God-man in flesh. Lies, lies, and utter lies. We are WARNED Of DECEPTION in Matthew 24, by Christ! The RCC promoted Replacement Theology. She IS MYSTERY BABYLON of Rev 17! The POPE is the Man g o d, Little Horn, of Daniel!!!! You are SO Correct! There is no such thing as replacement theology in Catholic teaching. People who espouse Replacement Theology would not include Jewish people in the definition of Israel. Israel is the priestly people of God, “called by the name of the LORD”, and “the first to hear the word of God”, the people of “elder brethren” in the faith of Abraham. 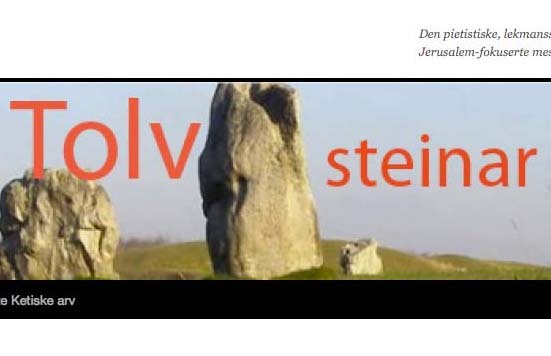 So the Catholic Church is saying that Israel includes BOTH Christianity (New Israel), and it’s older brother in the faith of Abraham (Jewish people yet to accept Christ). That is why we can say there is still something special and relevant about Judaism, our older brother in the faith. There is no one who can deny that the people of Israel, is “elder brethren”. The question is: A non beliving Jew , is he our brethren in “faith” today? Do the land of Israel belong to the Jews, or the Arabs? Today? Is God in covenant with the Jews today, or do the mountains of Zion (Judeah and Samaria) belong to the Muslims and the Pope? The Pope calls the mountains of Zion for “occupied”. Occupied by who? The Jews. Therefore the Pope is a liar and a deciever. The Pope claims that the promises of the land, do no longer belong to the Jews. Other peoples, the Arabs have “replaced them”. They are now the sons of the promise. Nations that Drunk her Wine=Nations that drank her FALSE DOCTRINE!!! Babylon the Great, Mother (Church) of Harlots ( Unfaithful) and Abominations of the Earth! The Church is not a replacement for Israel of old, but an unbroken continuation of Israel under the promised King and Messiah, Jesus Christ of Israel. His Church is His Kingdom of Israel, expanded to include all the Gentile peoples of the earth. The fullness of Israel is not Israel “in the flesh” (i.e., ethnic Judaism) but Israel in the spirit. There is a constant theme in the Bible that the elder son will be replaced by the younger son as the true heir of God’s promises. When Cain (the eldest) killed Abel, the legitimate descent from Adam was transferred to the descendents of the younger son. The same was true of Ishmael and Isaac, and Esau and Jacob. We also see it with the first kings of Israel where Saul and his son Jonathan were replaced by David and his descendents. It is not surprising that Jesus gave the keys of the Kingdom to Peter and the apostles (Mat 16:18). Thereby giving the keys of the Old Covenant to the people who follow Jesus Christ (Israel of the New Covenant). The New Israel are those who follow Jesus. The New Covenant is the fulfillment of the Old Covenant. The Old Covenant is completely dependent on the New Covenant. The question are: Who is Christs Church? Is there really, Apostollic Sucession? Was Peter really the First Pope? Was the Roman Catholic Church a continuation of the Caesar’s? Was the melding of Christianity with Pagan Rome, pleasing the people to become part of the Universal Church? Read Matthew 7: 21-23. Those who do the will of the Father in Heaven. There are lot of talkers, who misuse the name of Jesus the Messiah. 2. Its a big bluff. There is no spiritual sucession from a physicall father to a son in Christianity. No Christian family line in the flesh. All followers of Jesus have to be born again by the spirit of God. A rebith can never be done by the will of man. 3. Not at all. Peter was a sinful man, fallible, even after receiving the Holy Spirit. He was wrong in a morral issue, and misunderstood the instructions of the Messiah. He was rebuked by Paul as a hypocrite. Peter do not qualyfy for the papal dogma of infallibility in these issues. That makes the Vatican a nest of liars. You are free to chose from these two options to prove your case. Either Peter was disqualified to be a Pope, or all the Pope’s in Rome are fallible. 4. Yes. The Pope has set him self up in the chair of Ceasar, the chair of the infallible Roman “God”, Jupiter. The Pope has even adopted Ceasars tittle as “Pontifex Maximus”. The highest priest of the Roman religion, and the political head of the Roman Empire. I know these answers! I just wanted to bring up Thr issues that The RCC always has an answer for credibility! They want to ignore Constantine and the Pagan roots of Rome. John was the last Apostle to live and wrote the last Book, Revelation. He tells us, about the Last Days. He tells who Mystery Babylon is and what becomes of her! Take your Blinders Off and do not be Deceived, all the ppl who Believe In This System!!! 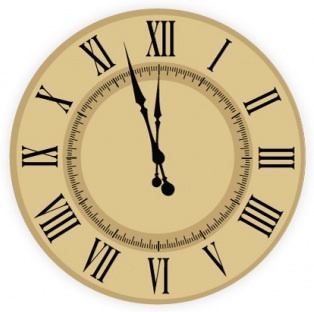 In 2 Thessalonians 2: 3-4 He sits as God….who could this be? Pretty obvious! 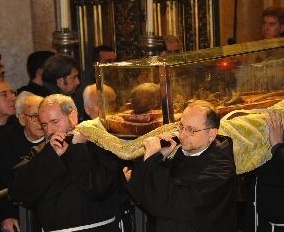 Look on Google: The Popes Throne, with 2 Cherubs guarding him…..trying to copy the Holiness of The Ark Of The Covenant!!! Cathy, I’ve seen pictures of Benedict on the white throne flanked by golden angels before, but went to see this image again since you mentioned this. The Lord has made it simple through His Word to perceive these things, hasn’t he! Wouldn’t you like to know WHY Benedict resigned??? Maybe, he knew the “Smoke Of Satan,” was too thick, to continue as “GOD On Earth Veiled In Human Flesh!” The Priesthood has become a Homosexual Profession, with emphasis on Pediphilia! The Leader must have known, this was a Man-Made Religion, and Not Christ’ Church….so he bowed out before he became another Johm Paul I (Murdered)! Any doubt on that one? Cathy, enough has been said about the evil, don’t you think? We love Catholics and need to get back to preaching the Gospel to them – don’t you think? Maria, as a Christian, we need to have Compassion for the Catholic Faithful….and that means Love. When you see Wrong and Injustice, it’s hard, to remain SILENT! That makes me a bit of a Zealot. It is nearly Impossible to Evangelize a Roman Catholic,steeped in the Traditions. There is little one can do, to show them the Bible has more weight than their Traditions and Majesterium! Papist love the Pomp & Ceremony and Rituals. I gave up trying to convert with the Gospel! They have to be Chosen, by God, through our Lord Jesus Christ! All of this is true, we are unworthy but chosen. I am grateful to talk to another former Catholic who knows so much. You’re right that the truth must be told – I’m just a little tired, and it is so ugly. I say the RCC has disobeyed the Moral Law of God by allowing the Veneration of Graven Images, not only of God, but Marian Worship! This is a very Grave Offense! Painful task, because many came from my late father. Yes, I am tired of dealing with such ugliness, but that is what it is! I look at it as, Grace bestowed on me to seek the Truth 4/ever in my Earthly Life, and to Endure till the end! This is my purpose, that was given to me! Cathy, I understand, and your zeal is good and needed. Nothing bothers me more than pictures of “Jesus”. They get between people and the Lord, and are a LIE. They are another jesus, just as the Catholic gospel is another gospel. The Roman catholic church, “church” means “called out one’s”, BTW, had the audacity to CHANGE God’s 10 Commandments. The 2nd Commandment, dealing with making graven images, and bowing down to IDOLS, was removed from God’s list. The 10th was divided into 2, making it the RC 9th and 10th. The BIBLE was given to us by GOD, for “instruction and REPROOF”, NOT the teachings of mere men. There are so many things RC teaches that CONTRADICT God’s word. A couple examples; in seminary, the “priests” lie prone, in front of an alter with their arms wrapped in some “mysterious” material. A “bishop” or some “higher up” performs some “magic” over the seminarians arms and hands, giving them the “power” to LITERALLY” change the wine or juice, into CHRIST’S BLOOD!! The 1st Christians were JEWS. They were FORBIDDEN to drink blood!! At the Last Supper, Jesus said “do this in REMEMBRANCE of ME”. He DID NOT say, “do this to RECEIVE ME”!! Also, RC has given attributes to Mary, that ONLY GOD possesses. ONLY God is OMNISCIENT, OMNIPOTENT, and OMNIPRESENT!! Along with RC giving Mary these attributes, which she would have to have, if she were able to HEAR and ANSWER prayers, over the years, they decided that she, just like JESUS, had a VIRGIN birth (from her mother), that she remained a virgin throughout her marriage to Joseph, that she, like Jesus, was born SINLESS, that she did not DIE, but was bodily ASSUMED into HEAVEN. I could go on and on……..Another thing I’ve always wondered; HOW is water made HOLY????!! One more, among so many heresies; when I was in school. FISH was always served in the cafeteria at school on Friday. Anyone remember?? It was a SIN to eat meat on Friday, after all. Then, AMAZINGLY, it WAS NOT!! Hocus, Pocus, just like that!! One day a SIN, the next day, NOT a SIN!! I know there are others like me, in this Modern Church Age! These Sinful Men have now Recieved Divine power to send Christ down from Heaven and re-Sacrifice a Finished Work of God!!! It’s putting the control of man into the hands of the RCC with Power! That’s the reason for their existence: POWER! What do you think is behind the Control & Power? Could Be $, but POWER is the Goal! What would the “Lucfer” do? Be like God and Share His qualities: Forgive Sins (Blasphemy!) Antichrist behavior mirrors Christ! It is very clear, in the NT, you MUST Be BORN AGAIN, to Enter The Kingdom Of GOD! The Pope changed Gods laws and proclaims a Baptism regenerates Life. Is he apeing Christ? The Pope proclaimed Mary was Sinless and was Assumed to Heaven, when the NT states that only Christ was Sinless, being God! Woe, these are Epic Signs, of what we are dealing with…Deception & LIES! Truly, Mother Churchz/Universal Roman Catholic Church is MYSTERY BABYLON of Rev 17! I was an only child, so it’s nice to have you call me “sister”! Someday, we’ll meet!! I get a kick when people talk about “born again” Christians. As if it’s a sect. One isn’t a Christian til one is “BORN AGAIN”!! It’s instantaneous, NOT a process, as RC teaches. I can’t remember if I said this in my earlier comment, but drinking blood, and eating flesh, as they believe they are doing at “mass”, was forbidden!! The New Israel are those who follow Jesus. The New Covenant is the fulfillment of the Old Covenant. The Old Covenant is completely dependent on the New Covenant. And you claim, that Rome and you do not teach Replacement theology? The truth is that God’s chosen people are loved with an everlating love. This was written 1.300 years before there was a single Roman Catholic walking on the face of the Earth. The New Covenant is based on the Old Covenant. If there is no Law, no Tannak, no “Old Covenant”, there is no Messiah. No New Coveant. Not the oposite, as you and the Pope claim. The New convenant was made with the people of the Jewish tribe of Judah, the sons of Jacob and the people of Israel. The Pope and you say: “Abolutely not. This love is conditional, and do not longer include the the “people of Israel”. “We”, the Roman Catholics are “The new chosen people of God”, “we” who beliive in “Christ of Rome”. This is one of the pillars of the mother of all errors, the basic foundation of the Vatican. God can not be trusted. Only the Pope. 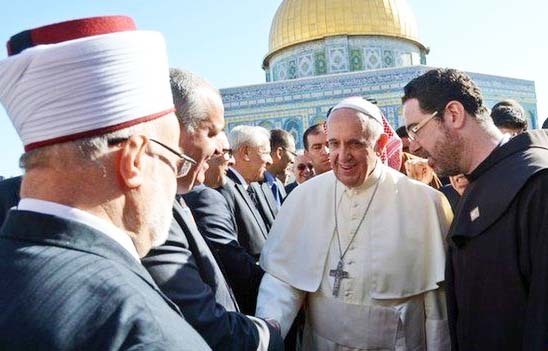 The Pope claim that the Jewish people are no longer “the people of Israel”, because they do not belive that the Christ of the Pope is the Messiah. Therefor they have no rights to their “promised land”. That promise is an issue of the past. Now the land belongs to the Pope, ad his subjects. Like the “Palestinians”. You are a papal liar, and you need to repent. I am afraid that you will never do. Over the last fiver years commneting on this blog, you are defending the Pope. Regardless of truth, and the messages from all who have tried to correct you. The assertion that you have regarding 2 Thes 2:3-4 results from the private interpretation of scripture, which is condemned in 2 Peter 1:20. The results of private interpretation are given in 2 Peter 3:15-16. The “ignorant and unstable” twist and distort. Note that this is Saints Paul’s writings specifically. “If I (St. Paul) am delayed, you may know how one ought to behave in the household of God, which is the church of the living God, the pillar and bulwark of the truth. I will try to be gentile and kind! Paul warned the Christians, in his letter to the Thessalonians, to beware of, who was to come, after Rome fell! You know who was to come? Papal Rome! Yes, see the “Little Horn” of Daniel!….I think you know, without going into detail! Of course, we are NOT to have Private Interpretation of Scripture. Christ wants to be like innocent children and follow HIS Word , NOT the Son Of Perdition! The Body of Christ= Believers in Christ and the HEAD of the Body (His Church) is CHRIST! We are the Temple of Christ and God is NO Respector of Man …. The Catholic Church reads the Bible in context. When reading in context you will find the Papacy is NOT the little horn. Daniel prophesies an earthly kingdom that will never be destroyed. Either this is a false prophecy. Or the earthly kingdom requires succession. The New Testament is the fulfillment of the Old Testament. There is NO Apostollic Succession! This is a Babylonian Spirit Creation! The Great MYSTERY Religion, is a Deciever of Men….She will pay for her Sins and Plagues! For 1700 years, she has played, with the Context of Holy Scripture….and they were WARNED, Not to CHANGE or ADD to Holy Scripture and the RCC DID!!!!!!!! God will NOT Be Mocked! HIS Word is TRUTH…Not the TRADITIONS of Man!!! You wrote: Even St Peter himself, refers to ROME as Babylon! By reading Romans, Galatians, Acts and the books of Peter in context you will find that Peter was in Rome. You will also realise that Babylon was a code name for Rome. Paul also explains why he has not yet come to Rome: “I make it my ambition to preach the gospel, not where Christ has already been named, lest I build on the foundation of another man” (Rom 15:20-21). The implication is that Paul has no need to come to Rome because “another man” has already built the foundation of the Church in Rome. From the Church Fathers and Tradition this “other man” has been identified as Saint Peter. The “Other Man” is Not Definative! It is conjecture, by the Traditions of Man, trying desperately to be Christ’ Church, and Rule the World! Hey, what do think, about Peter’s Chair? Do you honestly think Peter would ever sit on a Pagan Chair with Hercules carved on it? This is Folklore, designed to Decieve! Talk about Church Fathers, John Huss, could not believe Rome did not follow Scripture, so he was Outed by Rome, and excommunicated as a priest, from the RCC! WHAT a brave Saint and Martyr!!! I am not going to fall in the trap of changing the subject to John Huss. You have made a very simplified statement of a complicated bit of Church/European history. The Council of Constance began during the time of the Schism, when there were three sitting “popes,” (John XXIII, Benedict XIII and Gregory XII) each supported by a different national/regional power group. So John Huss statements on the authority of the Roman pope were not only ecclesial statements but political. I’m familiar with this council. If you don’t want to be sidetracked to a discussion of it, why make a statement, one in which you have misrepresented a righteous man? Are you a Soldier for the RCC? Interesting, “Falling Into A Trap!” A Very Apologist Statement you made! Hey Look, we are talking centuries of RCC history, many popes and Councils, proclaiming the Legalistic Position of a corrupt System! So What…Meaningless! Diversion, I think , NOT…REPENTENCE, YES!!! QUESTION: What do you think about Peter’s Chair? You Diverted, with John Huss! It is indeed folklore, Cathy. I am afraid ‘armorrcc’ has been deceived by Rome’s skewered interpretation of history. But then so were Thomas More, Erasmus of Rotterdam and the famous figures of the counter reformation such as Ignatius Loyola and Francis Xavier. They all fell for the mystique of the Roman Church. The mystique of all those self-exalting Popes who said they would be judged by no man on earth. Thomas More was happy to see Bible believing Protestants burned alive. Who could love a church like that? I fell for the mystique of Rome myself, but then I began reading about the Reformation in depth. John Calvin opened my eyes to all the ugly Papal pretensions. Calvin described the Pope’s men in scarlet and purple as ‘twopenny bishops’. I have never met a lay Catholic who has even glanced at John Calvin or any of the Bible-preaching Puritans. It is so hard for Catholics to face the thought that Christianity went wrong for hundreds of years. It went wrong until the Reformers tried to save it from its blasphemy and its gross sins. When Martin Luther visited Rome he was shocked by the depravity. He asked if every priest and bishop had a mistress. ‘Unless they are married to a boy,’ he was told. 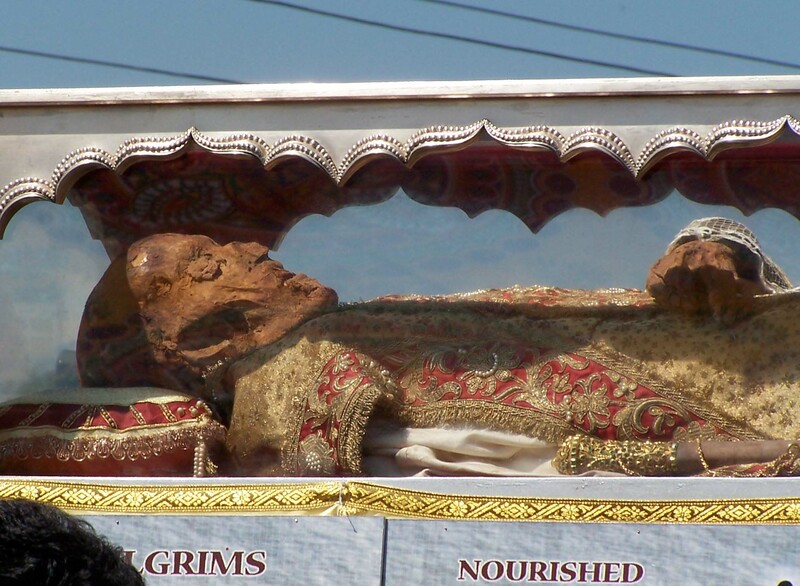 The trade in worthless relics of the saints was big business. People were paying to have masses said as if this would save their souls. If Catholics could only read about the mystery of iniquity. The iniquity of their own church. How it slaughtered the Waldensians. How it burned William Tyndale for translating the New Testament into English. What would the Apostle Paul have made of medieval Rome or post-Reformation Rome? Paul would have spat it out. He would have rejoiced to see the early church being reborn in Protestant Europe. In Rome today there’s a good Reformed preacher called Leonardo De Chirico. He belongs to an Evangelical community which is leading many Italians back to Biblical truth. Pope Francis is so frightened of this that he is wooing the world at large with his all inclusive, universalist message. No wonder the media love him. It’s just what they want to hear. Christianity without the narrow way of Christ Jesus. Christianity without the Cross. If so, you don’t need the Pope and his twopenny bishops, armorrcc. Ignatious Loyola and Francis Xavier, were the Leaders, chosen by Babylon, to fight the Reformation (CounterReformation! )…The Jesuit Order was created, as the Soldiers of the Vatican, to DESTROY all that believe, in Salvation, other than the Roman Church! They are the Great Defenders, of the Papal System. They (?Jesuits) will always try to Decieve Man, into believing the:Papacy is Not the AntiChrist ! This iis the Jesuit Master Plan: FUTURISM!!! They were very successful, because Most of Christendom believes, the AntChrist has come(.Pretarism or will come Futurism through Rapture ! After Vatican II, Bible Beliieving Christiandom dismisses the idea…..that The Roman Papacy is the AntiChrist, in which their Forefathers Believed and died for!!! See my Entry May 31, about the “Other Man!” Very sad, using the Apostle Peter as the First Pope, when it was centuries later! GOD always had a Father Figure to shepherd His people? From Adam, to Noah, to Abraham, to Isaac, to Jacob, to Moses, to David, to Peter, there was always a male figure that GOD used to shepherd His flock. It is no different today, as GOD never changes. Every time GOD changed the name of someone in the Bible, He also gave that person authority. He changed Abram to Abraham and made him the father of a multitude of nations. He changed Sarai to Sara and made her the mother of nations. He changed Jacob to Israel and made him the first Israeli. In John 21:16, the Greek word used for “feed” is “poimaino” (poimaino, second person, singular), which means, to act as a shepherd, to rule, to govern, to pastor, or the presiding officer? It is the only time this Greek word is used in the Gospel of John. In John 21:15 and 17, the Greek word used for “feed” is “bosko”, which means “to feed”. So verses 15-17 say “feed my lambs, SHEPHERD my lambs, and feed my sheep”. Jesus commanded Peter alone, to be the visible SHEPHERD of His flock. In John 10:16, Jesus said, “…and there shall be one fold and ONE SHEPHERD.” The Greek word used for “shepherd” here is “poimen” (poimen, masculine, singular). Clearly, Jesus said in these verses that there will be only ONE SHEPHERD, and that visible shepherd on earth will be Peter, who would soon become the first Bishop of Rome, and the first Pope. Peter, as you know, was a mere man. The Church was built on the testimony of all the apostles. Jesus Christ is the head of the Church, His Body. You are mistaken in believing that we must have a visible head. We are the Sheep, and Christ Alone is our Shepherd! RC Apologist like to use the “OT Name Change Defense!” In the NT Christ is our “High Priest” and there is NO NEED, of a Priesthood! Early Church development made NO mention of a Pope or Prieshood! This was a Man-made Babylonian Mystery Religion. (PERIOD) Some of the “Dessert Church Fathers” made it possible with the Councils! Cyril was the one, who made Mary into Catholic Mary, through Alexandria! Alexandria, was the seat of Occult Knowledge, later transferred to Rome, for Safe Keeping! The Power and Work of the Man Of Sin! Cathy, Alexandria shouldn’t be dismissed. This is where Athanasius was bishop – he was a defender of the Lord Jesus Christ’s Deity. So good to talk with you. For now I must leave the discussion, Cathy. Only the Lord can open the eyes of the blind. Yes, Jesus Chris is the Head of the Church. The Catholic Church has never said otherwise. Your understanding is incorrect. The Pope is the “visible” (or “earthly”) head of the Church on earth. That’s not the same thing as saying the Pope is the head of the Church. Jesus Christ is the head of the Church. The Pope acts as his vicar (representative) on earth. He is not a king – he is a steward only. What is your definition of visible head? Before the Apostles passed on, they started a system, commanded by Jesus Christ, to pass the baton to successors. This was to insure the perpetualty and the growing visibility of the Church which Jesus Christ founded. That system is called “Apostolic Succession”, and it is very Biblical despite the fact that sects of diverse denominations teach that it is not. *Teach: Jesus Christ commanded His Apostles to go out and teach all nations in Matthew 28:19-20. The Apostolic successors, the Bishops are the teachers today in the Church which Jesus Christ founded. How would you explain these verses if you believe that the Church which Jesus Christ founded is an “invisible church”? Please show me how you can appeal to an “invisible church”? armorrcc, as I told Cathy, no more discussion for me at this time. The one shepherd is Jesus Christ. The Vicar of Christ on earth is the Holy Spirit. The early church had no priests, only presbyters. The New Testament speaks of ‘the priesthood of all believers’. When Jesus was alive there was a very elaborate priesthood in the Temple in Jerusalem. It was very hierarchical. Just like the Vatican today. The priests in the Temple had a great deal of power and were secretive in their dealings. Just like the Vatican today. The priests in Jerusalem had huge prestige and did not have to answer to the common people. Just like the Vatican today. In the great letter to the Hebrews, the Lord Jesus is described as our great high priest in heaven who intercedes for his people on earth. The sacrifice of Jesus on Calvary means we have no need of a priesthood on earth. Our ministers and elders in Protestant churches are called to preach the Gospel. If we go astray we can go to them for guidance. The ministers rely not on their own wisdom but on the Bible. The only holy father is God the Father. The Pope teach from the Chair of Peter, just as the Pharisees taught from the Chair of Moses? Were they placing Moses works above God’s? These people thought they knew Moses but they did not know Moses. Effectively they did not believe everything which Moses wrote. Why? Because Moses clearly prophesied about Jesus Christ. Armorrcc is obviously not getting, who is our Authority! This is Brainwashing by the Majesterium, on the Common Man! This is the REASON for The Forbidden Book policy, of the past. THIS is the Reason for the REFORMATION! The Mercy seat was Gods! The Pharisees used Tradition, to teach and Christ REBUKED them as Vipers! The Pope ,as Vicar Of Christ, sits on Peters Chair to teach, the HOLY Word of God! Do you actually believe that the Pope can deliver Gods Word on a Pagan Chair with Hercules carved in it? Speaking to Armorrcc- You better think about this Foolish thought! The Church, is Divine and Human, Invisible and Visible, being the Body of Christ. Since Jesus Christ is the invisible Head of His Body, who is the visible Head? The Pope! For just as Jesus Christ Humanity had a Head, so does the Church, and in no way did Jesus have two heads but only one. And so too is it with the Pope: The Pope does not sit beside Christ as His equal (two heads), but rather, he is His visible representative on Earth. Why does the RCC pray Repetitious Prayers, with Beads, like the HEATHEN? We are warned in Matthew 6:7 not to do this! Hey, there is another group that pray with Prayer Beads, ISLAM! Also, the Beast has 7 Heads, of Daniel and Revelation ….. Tradition, Majesterium, Holy Bible….The 3 components of the RCC…sounds Man centered to me! Yes, we know the dogmas of the RCC cult, and that the Pope do believe he is God on the face on the Earth. This is just one more confirmation. Now, it is about time for you to leave News That Matters. It is absolutely pontless, to spend your energy writing more comments. I think Armorrcc, should keep on espousing his RC Comments. It marks the Differences, between Biblical Truth and Catholic Canon Laws and Catechism. Anybody, that thinks, that the Pope is more than the Head Spokesman for the RCC is DECIEVED & DOGMA DUPED!!! To call this Elevated Man, The HOLY FATHER, is Blasphemy….the Father, in Heaven is NOT PLEASED!!! It is a fine line, having to rebuke a religious person, or let him continue to spread falsehood. Amorrcc do not have any shame. I feel he has already been judged by his refusal to accept truth. There seems to be no hope, only to wait for the eternal fire. If you want to spend time rebuking and correcting this man, I will let him continue to write comments. But I saw some signs of tiredness among my faithful readers. If no one wants to contiue to correct him, and he do not get the message, I will spam him. Free Speech! I think , the Religious Blog is meant , for Opening the Eyes of, ” The Unsaved Soul!” It is much better, in Apologetics, to see the Argument! Those that support the Bible are ALWAYS….the WINNER, they have Fought the “Good Fight” for Christ! Armorrcc might have been sent to your Blog, to defend his Faith. You never know, he could be a Prelate or belong to some Society, like Opus Dei….I say, keep him on! Anyone, who doesn’t aline, with the Sacred Book, stands out, as being a Liar! You have convinced me to let Amorrcc continue to comment. And I trust you will continue to correct him. It seems the “Seat of Moses” poses a difficulty for you, because it is a Jewish Tradition not found in the Old Testament. Jesus elevated that seat when it was transfered to Peter and the Apostles and their successors. Notice the word “sit” in Matthew 19:28-29. It implies a seat or chair. You cannot have an office chair without succession, or its not an office or chair. Jesus said to them, “Truly, I say to you, in the new world, when the Son of man shall sit on his glorious throne, you who have followed me will also sit on twelve thrones, judging the twelve tribes of Israel. That is lots of authority. There is no proof using the bible alone, or history, or any writings of the earliest Christians, that the authority of the Apostles died with the death of John. What is the expiration date of this verse? By reading the Bible in context try and connect the dots. Also read Isaiah 22. Talking about HEADS: Is the Head, that was Slain, the Papacy, that almost ended in 1798 when Napolean had the Pope taken and left the Papacy without any Pope! Later, the Papacy grew back, and strengthened with the signing of the Lateran Treaty, with Mussolini! They became a Church State with Civil Power…and that’s All They Wrote! The HEAD Returned! The Ottoman beast was fatally wounded and its wound is getting healed by the day. In bible prophecy beast that rises from the ocean of men is the earthly kingdom. Woman in scarlet is riding one beast which is the beast of ancient Rome. Papacy is continuum of roman emperors. Rome resides on seven hills such as Jerusalem. Beast that received deadly wound but rose again which everyone marveled is Rome. Maybe the Europe is the revived roman empire or something yet to be seem. Rome is part of the golden statue of Daniel and its golden head is the Babylon. Our head in Church of Christ on this earth is Jesus Christ. In the end mystery Babylon will be destroyed and the harlot ( RC with every nomination and religion associated with it) riding the beast that is Rome. Ottoman empire, Saudis don’t fit. In the bible harlot is used in spiritual sense describing for example Israel that began to follow foreign “gods”. All this doesn’t matter so much. What matters is that our names must be written in the Lambs Book Of Life. Only Jesus can save. He has all the power and all the nations are like a drop of water in a bucket for him. All their conspiring is in vain. We should feel pity for them. Maranatha Jesus! ALBERTO RIVERA, A FORMER JESUIT PRIEST WITNESSED THE EVIL BEHIND THE VATICAN AND THE PAPACY..RESEARCH ABOUT HIS TESTIMONIES. THE BOOK OF REVELATIONS CLEARLY TELLS US THAT THIS BEAST WHICH CAME OUT OF THE SEA IS THE VATICAN. Alberto Rivera was a notorious conman. There is no evidence that he was ever even Catholic, much less that he was ever a Jesuit. His story (which changes with each telling) was a fictional storyline for a comic book put out by Chick tracts, to defame Catholics. Its pure garbage. He was very knowledgable, on RC matters, to create, such stories. I think the Ecumenical Movement with “Christianity Today” wanted to destroy the Jack Chick Publication, along with the RCC! Bob Bush, a valid Ex Jesuit, has some interesting things to say about, the Wrong Teaching of the Catholic Church! He was a thoughtful man, who died, around 6 years ago. The book “Far from Rome, Close to God” by Richard Bennett (ex Dominican priest) tells the story of 50 RC priests who left the Roman Church! That pretty much tells the Story! Who, really knows about Alberto Rivera, but God. We will NEVER KNOW! WHAT’S YOUR EVIDENCE THEN THAT HE IS A CONMAN? IS THAT THE ONLY REASON HE HAD WHY HE TRIED TO SIMPLY DESTROY THE ROMAN CATHOLIC FAITH? WHAT WILL HE GAIN OUT OF IT? AND BESIDES HIS TESTIMONIES ARE EVEN BACKED UP BY SCRIPTURES AND OTHER WITNESSES CLAIMING THAT INDEED THE POPE IS THE ANTICHRIST, THE VATICAN IS THE BEAST WHICH CAME OUT OF THE SEA WHICH REVELATIONS DESCRIBED TO BE AND THE PAGAN PRACTICES ALONE, THE IDOL WORSHIP, ETC.. ARE ENOUGH EVIDENCE THAT ALBERTO RIVARA’S TESTIMONIES WHERE TRUE. As I have said, there is no evidence he was a Jesuit Priest or even was a Catholic. Therefore the onus is on you to give the evidence that he was a Jesuit Priest. I will follow up on the documentation you provide for example his Baptism certificate. As a Lutheran who has spent a lot of time on this, let me throw in what I think. To understand Rev 17, we must first understand Rev 13, the beast that overall looked like a leopard but with the mouth of a lion and feet of a bear. The Leopard-Bear-Lion is defined for us in Daniel – Greece, Persia and Babylon. The seven heads are these: Egypt, Assyria, Babylon, Persia and Greece (the 5 who have fallen), then Rome (1 is) and the other yet to come is..? Let’s try to work it out. Now Babylon-Persia and Greece define the geographic location of the beast empire which at it’s greatest expanse included the territory from India right across the Middle east to include Egypt, Turkey, Greece. North Africa and the Mediterranean states of Europe had many Greek speaking settlements. So what system controls that area today? Every Verse in Rev 13 can be pinned to Islam. It cannot be Roman Catholic. On the other hand, the description of the woman in Rev 17 could be RC, the colors certainly match. However, Saudi Arabia has made the nations drunk with the wine of her oil without which no nation can function. They live like this with great riches, precious stones and gold, and surprise, surprise, drinking wine. Then there’s that mysterious Rev 17:8 “..when they see the beast that was and is not and yet is.” Muslim jihadists are the active military arm of Islam. They were a physical empire 650 to 1922, They are not now a physical empire, but yet they are. An entity which is not an empire, aided by the West, behaves as if it is. Erdogan is now in the process of resurrecting the Ottoman Caliphate to become the eighth head. If you have a better explanation for this verse, let me know. Over the last 1400 years, who would be responsible for most of the blood of the saints? Certainly not Roman Catholics – UNLESS – Rome create Islam. I have not seen real evidence for that. Virtually no Christians exist in the middle east any longer. Rome is Mystery Babylon. There is a plethora of Prophecy that ties her to the Woman That Sits On The Beast. She is the Great Harlot….make NO Mistake about this! Many Separated Brethren have believed the CounterReformation Lie that draws ppl away from Rome and the Papacy!